Either operational or financial, imagine all potential steps involved even in a single flight. 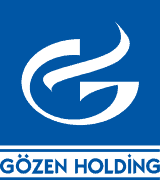 Gözen supervision hinders all glitches through assisting you on every step of the operation. We are proud to perform our best, every day. Each time we receive a handling request, 24/7 Gözen OCC starts securing all necessary details on your behalf. While your airport slots and necessary permits are being applied and monitored, our station supervisors will be in touch with you in order to elaborate all details in advance. Prior to the arrival of the aircraft, our supervisors will conduct a briefing with all third parties about the nature of your operation. Upon landing, our supervisor will be present at the aircraft door ready for any demand, no matter how last minute this might be. Whilst we take the passengers for a quick completion of customs and immigration formalities, the truck will be already by the aircraft for Gözen fuel uplift. Once the aircraft departs for its next stop, we will complete all necessary reports and conduct a post-flight briefing with the team. A post-flight pack will then be sent to you, accordingly. Whether you operate a full-scheduled airline or you pilot your own single-engine piston; with Gözen Air Services, exceed the service level you may expect on ground!